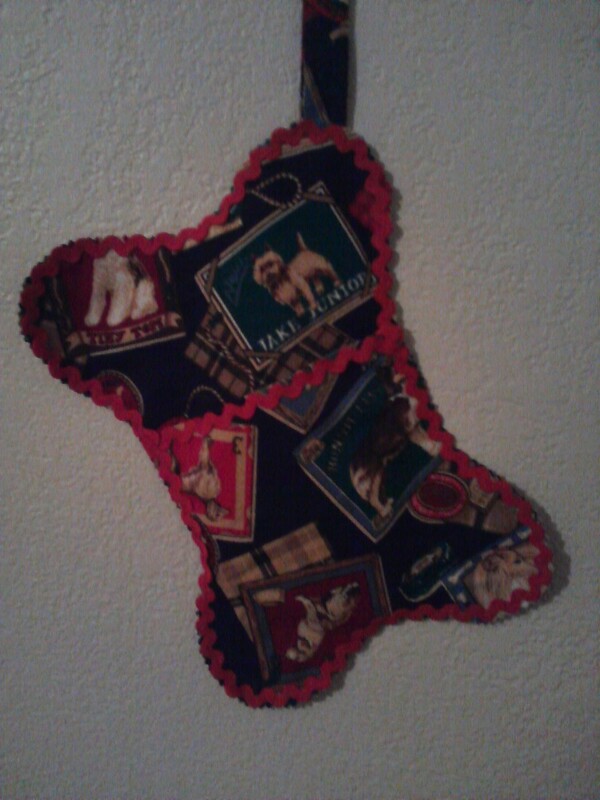 I thought this was such a cute stocking for my pet to have this Christmas. It’s so easy to make I made up one for all my friends pets, too! To get started, you will first need to make sure you have all the supplies! Fabric of your choice. About 1/4 of a yard, rick rack, matching thread, thin double-sided iron on interfacing, and pinking shears. When you cut out the stocking use pinking shears, since you will not be heming the edges this will give it a nice decorative finished look. You do not need to cut out the rectangle with pinking shears. You will be heming this so just cut it out with regular scissors. 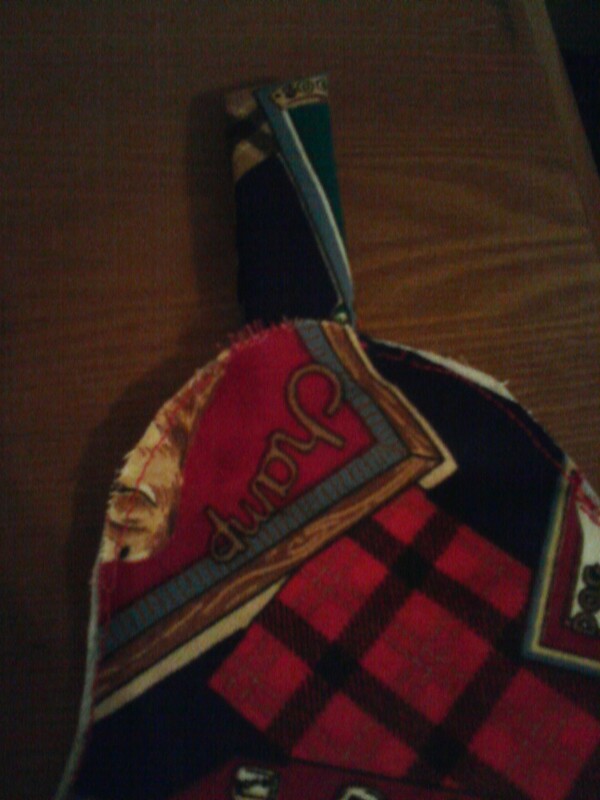 Cut out the stocking using this pattern. Cut (using pinking shears) two (2) of fabric of the large bone plus one (1) bone of double-sided iron on interfacing. 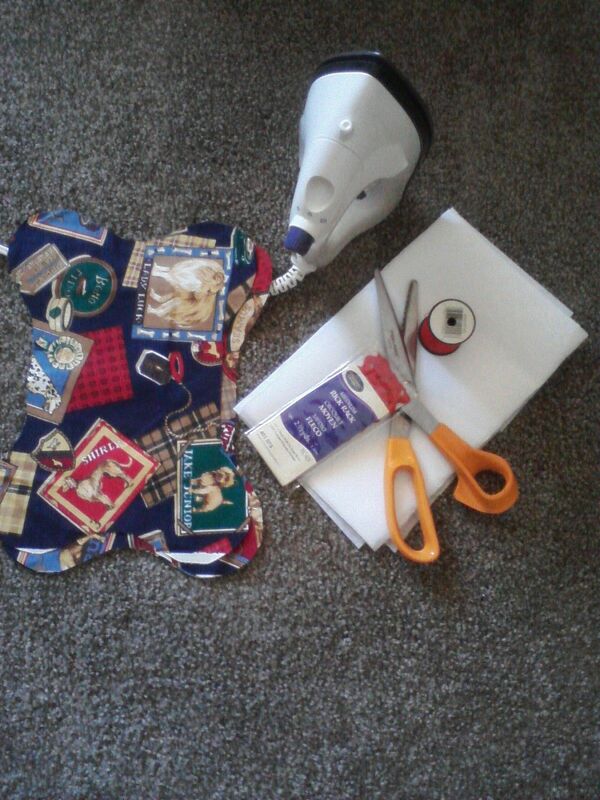 So you will have three (3) large bones cut out…..two of fabric and one of interfacing. Cut (using pinking shears) one (1) of fabric of small ½ bone. Cut (using regular scissors) one (1) fabric of rectangle. 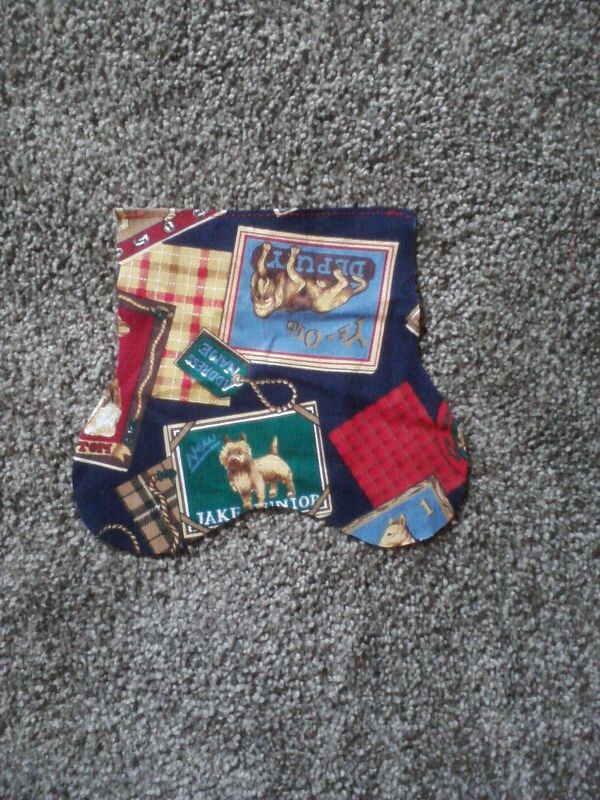 Next, iron on one side of interfacing to wrong side of fabric of one bone. Now lets get our loop ready! 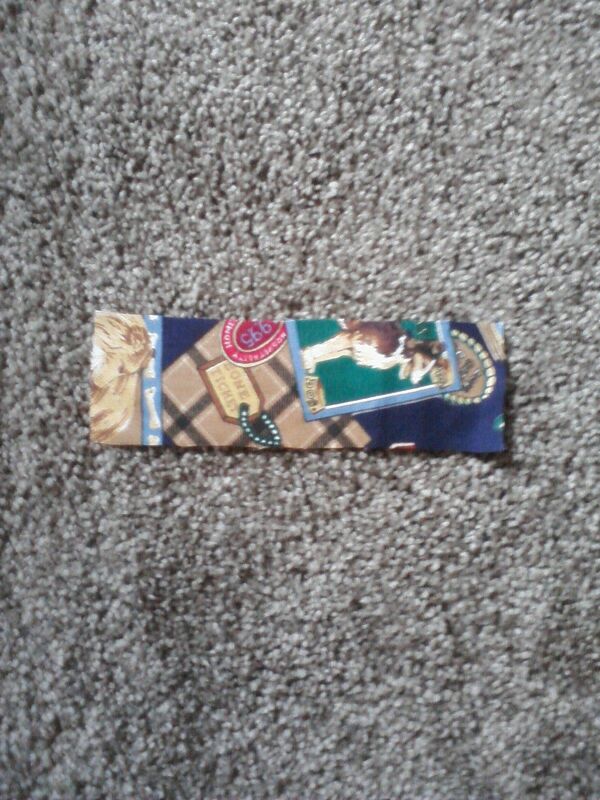 Fold rectangle in half with right sides together (long ways) and sew a small seam down the side. 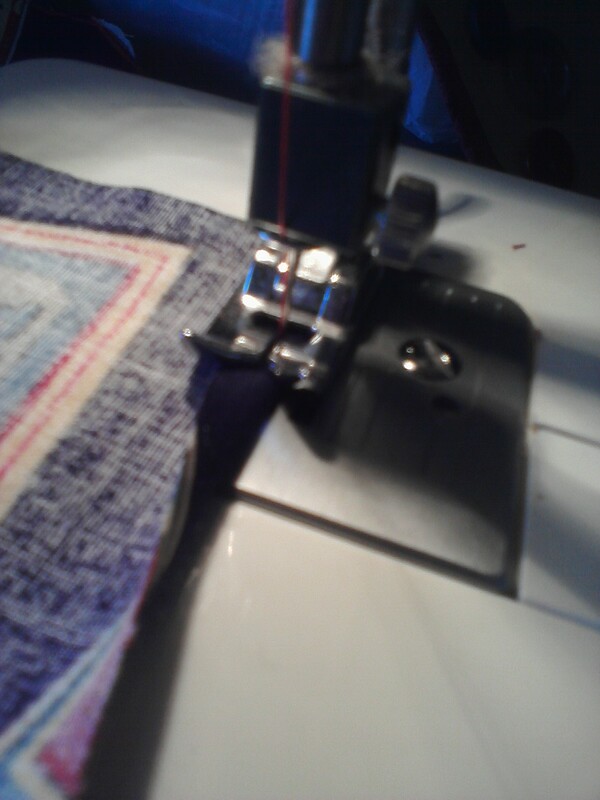 Either using your machine or hand sewing. It’s up to you! This is going to be the loop you use to hang the stocking with. Don’t worry about sewing up the ends. You are going to do that later when you sew the two bone pieces together. 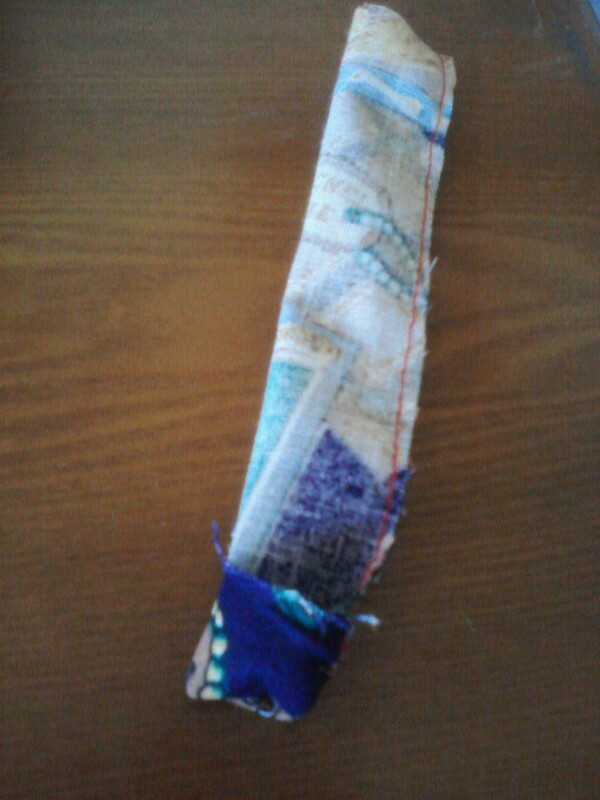 After you have sewed down one side, turn right side out. I use a thin stick to help push the end through. 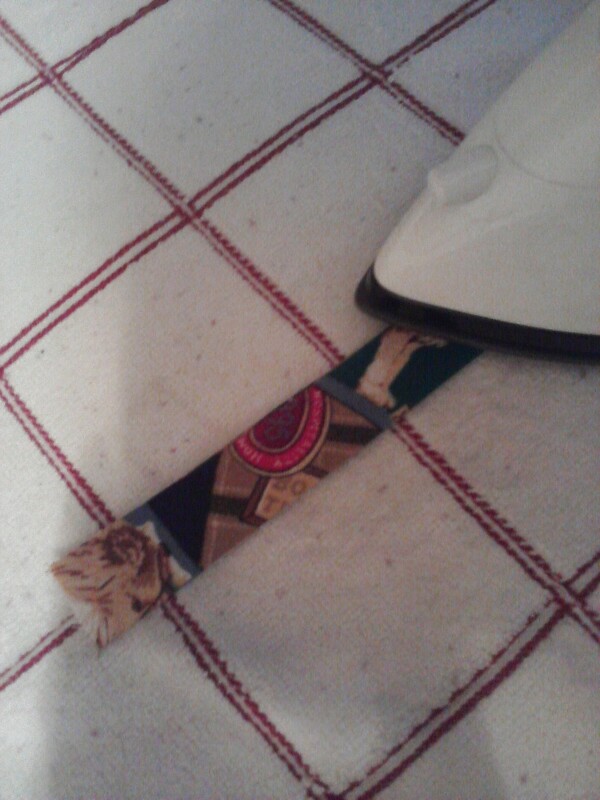 Iron the loop so it lays flat. 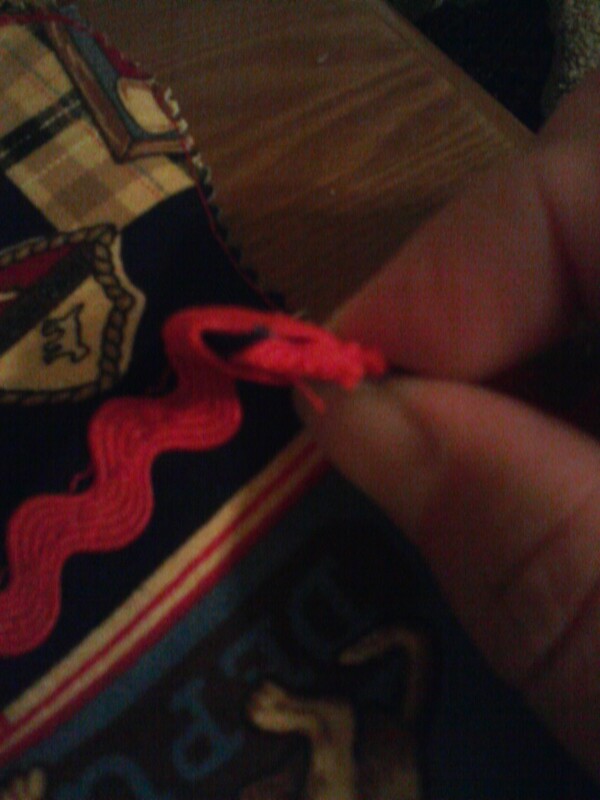 Now fold the loop in half so that the ends meet. 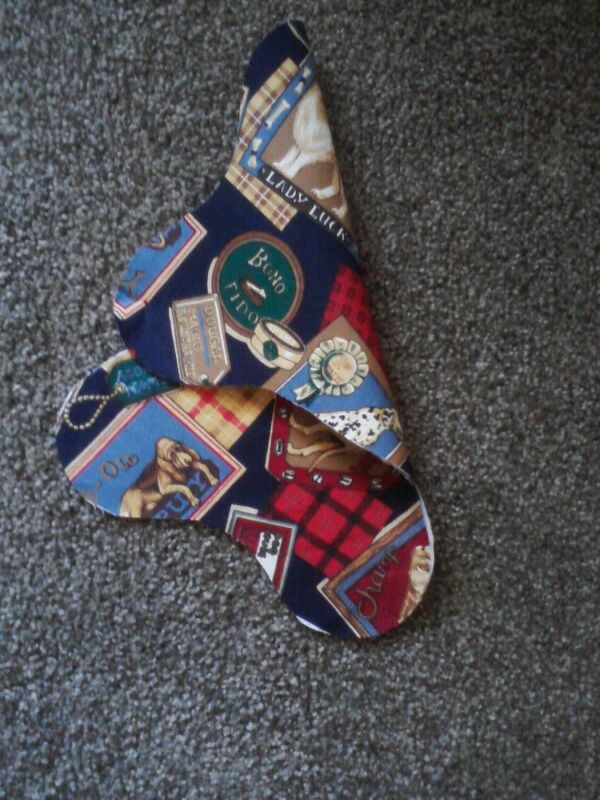 Place on the bone piece that you ironed on the interfacing to. Place in the middle of one corner, with the loop extending outward so you will be able to hang it when you are finished. 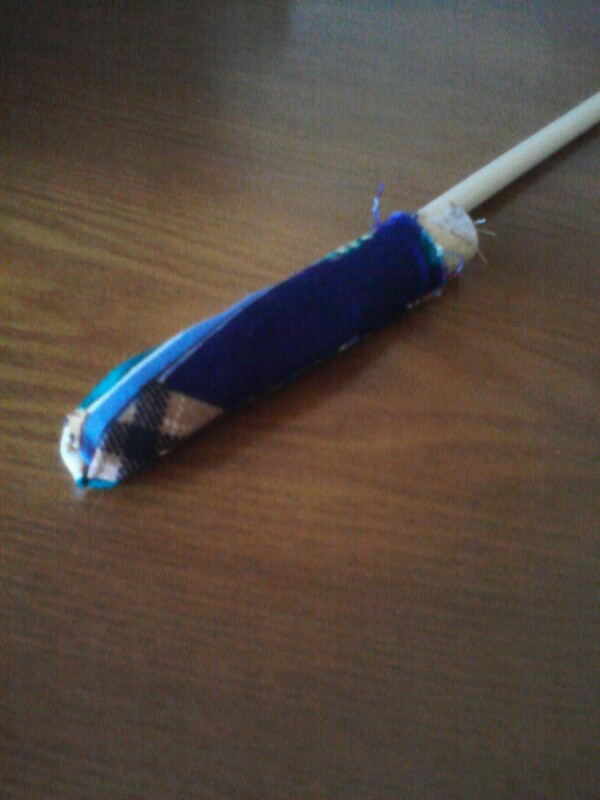 Now, take the other bone piece and place it on top of the interfacing and iron in place (wrong sides will be together). 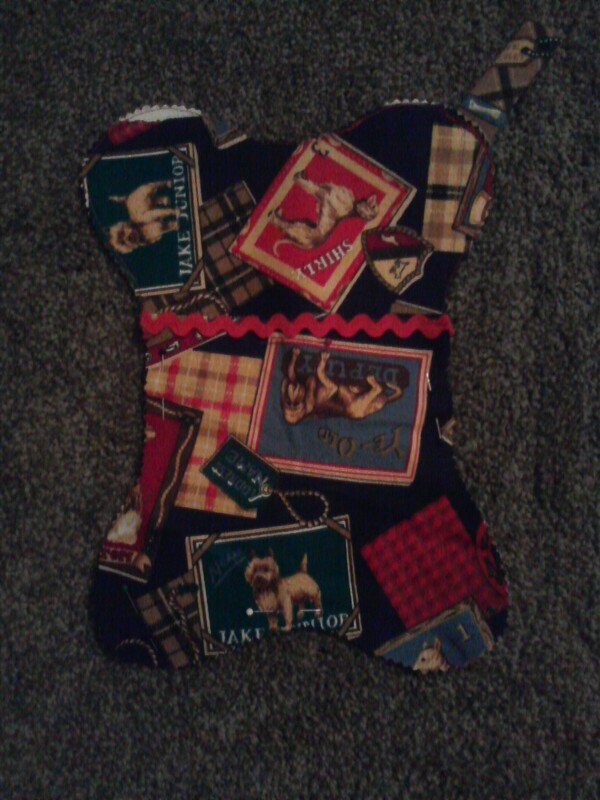 Now take your smaller 1/2 bone piece (I call it a pocket) and sew a 1/4 seam at the top. Now get your rick rack and sew it across the top that you just hemed. Be sure to extend a small amount of rick rack on each side so that you can tuck the ends under the back side, this will give it a nice finish. When you are finished it will look like this. Now lets get ready to sew it all together! Align the pocket, (1/2 bone) to the bottom of the large bone. 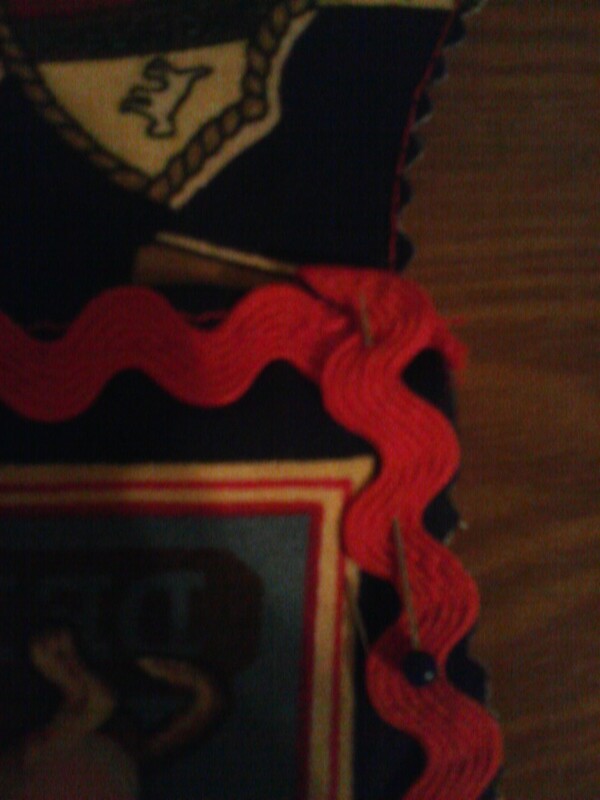 So that the edges are aligned, then pin in place. Now take your rick rack and start at one side beginning with the pocket (1/2 bone). Leave a little extra so that you can extend a small amount of rick rack and fold under the pocket. Sew the rick rack all the way around the bone edge. Be sure to leave a little extra when you are done so you can sew the end under the pocket leaving you with a nice finish.